Halle Berry and husband Olivier Martinez welcomed a bouncing baby boy on Saturday. Berry, 47, said this pregnancy was the surprise of her life. She has a 5-year-old daughter, Nahla, from her relationship with model Gabriel Aubry. Kim Kardashian shared a new photo of Nori on Instagram. I've got to give it to her and Kanye. That's one cute baby. 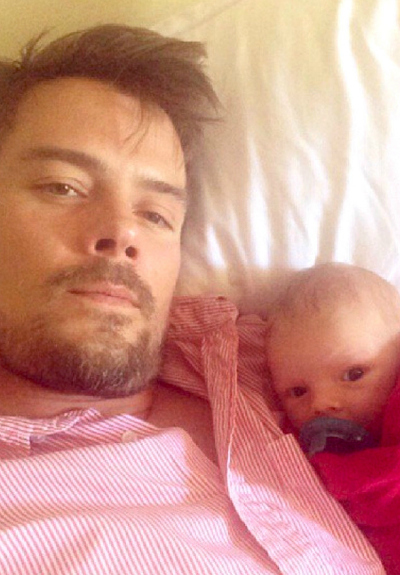 Josh and Fergie Duhamel's baby boy is pretty cute too. Josh posted this photo of Axl on Instagram saying he was watching football with his son. Awww! Hulk Hogan apparently owns a web hosting company now. In a new ad spot, he spoofs Miley's Wrecking Ball video. The ad doesn't make much sense, and he's wearing a thong. You've been warned. 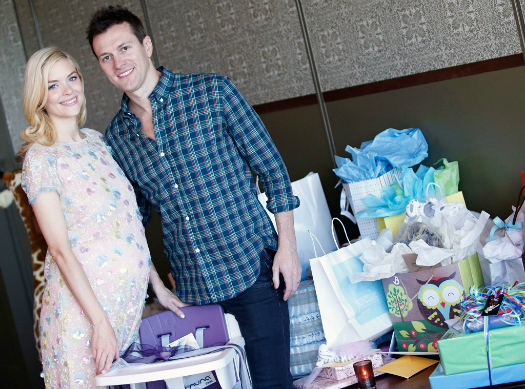 Jaime King and husband Kyle Newman welcomed their first child, a baby boy. Kyle announced the birth via Instagram late yesterday. The pair has been married since 2007. I love Josh! Lots of genetically blessed children. I think it's kind of funny how after all of the talk of striking a deal with vogue for North West's first public pictures, they get nothing and just instagram it. 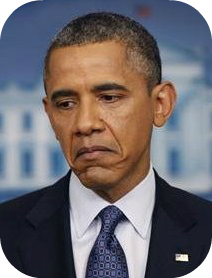 Sorry Kim, you're not as big a deal anymore! I swear it's a baby explosion these days. North really is so cute. She looks so much like both of them! I don't know why I even clicked on that Hulk commercial. Yuck! I want to hate North West because it's Kim & Kanye's baby, but I just can't! So. stinkin. cute. Stopping by your blog for the first time! 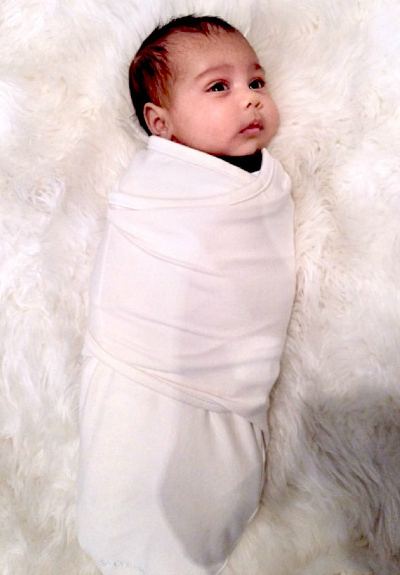 Nori is one adorable baby, even if her parents are cray-cray! Ugh..Kim and her poor baby's terrible name. I wonder if celebrity babies grow up and are just as embarrassed of their parents as we are. I would suspect even more so with a mom like Kim! Is it just me or does she already seem to have an attitude? Josh Duhamel's baby is adorable. Mike and I watched that Hogan thing the other night at the bar... horrific, but hilarious. Ugh, of course Kanye and Kim would have a cute baby... where is the justice in that? Energy never tasted so good!